Published March 25, 2014 at 882 × 659 in WASH (Water and Sanitation) programs. 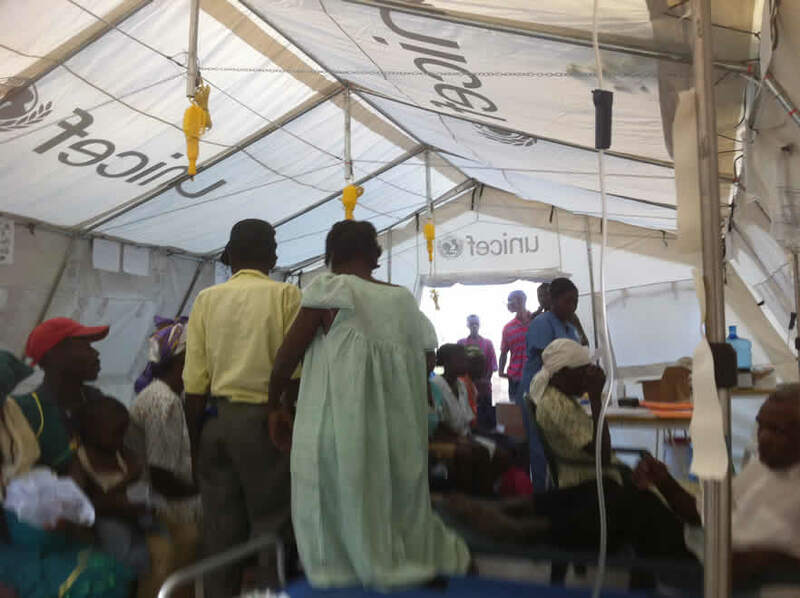 Cholera Treatment Centers are examples of what successful WASH (Water and Sanitation) programs are capable of. Varying concentrations of dilute bleach solution are used for handwashing, floor-mopping, and shoe-cleaning. Despite caring for patients with cholera, if proper protocol is followed, the infection rate of health care workers treating cholera patients in this highly-infectious environment is zero.